As a blogger and an “e-commercer,” social media are an absolute necessity for me and love it or loathe it, it’s rapidly becoming an essential for almost every business. Facebook seems like the old dinosaur now with Instagram having taken over as the fastest growing platform. Twitter-owned Periscope, the video streaming platform, got off to a flying start last year and as a mother of young teens, I’m constantly reminded about Snapchat. For now, I don’t need or want to do everything. My favourite is Instagram and it happens to be my own fastest growing social medium and one I’m happy to spend time working on and is one I enjoy. It’s visual and can be a place of beautiful inspiration, ideal for showing off jewellery, outfits, shoes, or one’s pug, peonies or flat white. 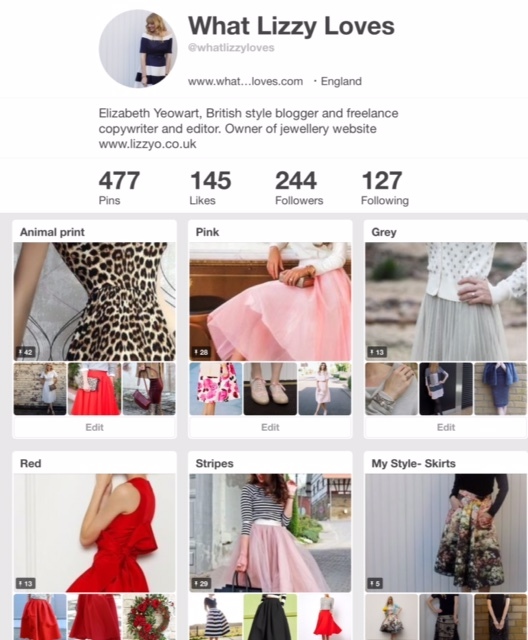 In a similar vein, Pinterest is all about the aesthetics, but isn’t actually classed as a social medium, rather it’s a discovery tool- a search engine, much like a visual Google. It’s a place to discover, to save and to do. The images and boards need to look appealing and must catch the eye. The content is evergreen, so it’s worth spending time on making Pinterest boards as beautiful as possible because that’s what will stop people mid-scroll and will entice them to repin the image with the aim of of leading them to visit the associated website or blog. Use longer, more thoughtful descriptions with key words and describe what’s in the image. 3. There is no such thing as too many pins or too many boards. 4. The number of followers doesn’t matter. 5. Most content is consumed through the search/home feed. 7. If you’re a blogger have a blog board. 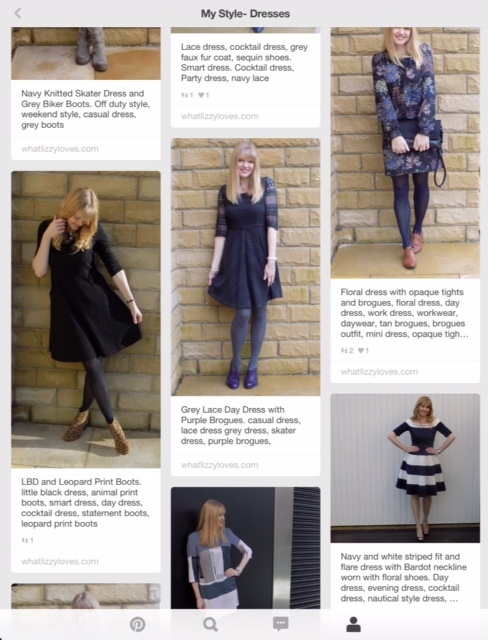 If you’re a blogger make sure that at least one image on every post is in Pinterest’s preferred portrait format. 9. Add a call to action. 10. Avoid amateur or user generated content. 11. Look at inspirational accounts for ideas. 12. Avoid borders, logos and distracting text. My own Pinterest account is very much in the fledgling stages. I love it and could happily lose myself for hours if time allowed, but it is only recently that I have started to use it as a business tool as well as a place to daydream and garner inspiration. I have followed all the above advice and have incorporated a few ideas of my own. Here are my top five tips and how I’m applying to my own Pinterest and I give my apologies- the screenshots are not crystal clear but hopefully clear enough to demonstrate my point. 1. Make the front page look cohesive. I liken this to looking at Instagram as a gallery rather than a series of individual images. In the screenshot below of my front page, you can see that the boards have a colour scheme and the front covers of each board each show the mid-section of the outfit wearer. 2. Have a board for the product(s) you are selling. It sounds obvious, but I have a board for Danon jewellery which makes up the majority of the products I sell in my online boutique, Lizzy O. This shows the stock images, plus photographs of me and of others wearing it. My next task is to create a board for my own brand Lizzy O scarves, wrap bracelets and pendants. 3. Have a blog board for each category. I have four blog boards, onto which I pin all of my blog posts that are not related to style, according to category. They are Blogging and Social Media, Trips and Travels, Restaurant Reviews and Beauty and Wellbeing. the majority of my blog posts are categorised as style so these, in due course will all be pinned onto an appropriate board. 4. Pin the same image onto multiple boards. For example, I have pinned this image of me onto three of my boards: pink, my weekend outfits and my jeans outfits. The one below is pinned onto four of my boards: my dresses, my shoes, my tights and, again, pink. 5. Say what you see. Use plenty of adjectives to describe the images and don’t worry if it seems lengthy. This is how pins get discovered. You can see how different ways I have described one dress or outfit. As I said, I’m only really beginning, but hopefully these tips will help other beginners and small online businesses to begin to pin for success and I’m looking forward to pinning away and to setting up more and more boards that reflect me, my interests, my lifestyle and my aesthetic. Liz, this is such a timely post for me! I am a total Pinterest novice/idiot. I am completely clueless as to what I should be doing and how/why. 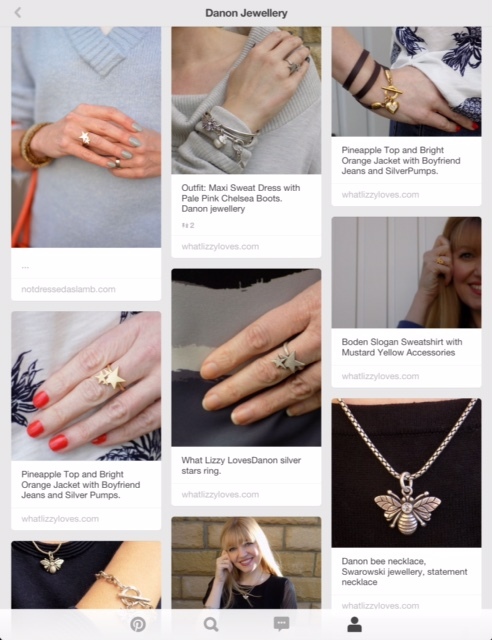 I know Pinterest is a HUGE place to find images of anything and everything…and I often use it to search myself. I just need to learn how to promote my blog there too. Thank you for these tips…I am going to make more of a Pining effort from now on. It is maybe time for a tidy up. Instagram is my favourite too. I have started using it more this year and now follow countless people and even a French bulldog! Snapchat is something I have yet to master as my phone does not like the app and I ended up having to delete it. Pinterest is great. I pin my daily outfits on there and use boards to make up outfits. I can be on there for ages! Your boards are great and my favourite is the Brogues board, as a fellow lover of them! Thanks for the post! I've had to ask my two teen daughters how to use Pinterest and they take a deep sigh and grudgingly explain something they can't believe needs explaining. Oh, to be 17 and know everything again! Thank you Lizzy for this helpful post. I need to get myself working on this, I do find it hard to understand plus it's that time thing again ! Liz this is such a great post – not only have you given some great points (a lot of which I didn't know or was unsure about, like the hashtags) but you've shown them put into action with some excellent examples. Your feed looks lovely – I hope it works and gives you the traffic that you deserve!! P.S. I've only just seen that you emailed about the Pinterest talk a while ago – it went to my non-blogging hotmail address which I don't check as often! So sorry I didn't reply and say thank you!! Excellent help for new Pinterest users like me. I found it all so confusing at first, but like you have organised my boards around colour – only a few at the moment. I am slowly learning so thank you for the tips. I created a 'Fantasy Wardrobe' board and waste far too much time swooning over Net A Porter images and putting things I could never afford into my virtual wardrobe! Sad, but true! I love Instagram too and your pictures on there are beautiful and very inspiring. Thank you. So great tips – incredibly useful thanks! !